Provides important daily information on dates, holidays and festivals for managers and staff. Encourages self learning and personal development. Increases credibility with customers and users. Supports your diversity, cultural and equality training initiatives. Delivers a very cost effective resource to promote awareness of inclusion throughout your organisation and the community. Quickly check what is happening this week. Make sure organisation events don’t clash with religious holidays. Don’t miss important holidays, festivals or diversity dates. 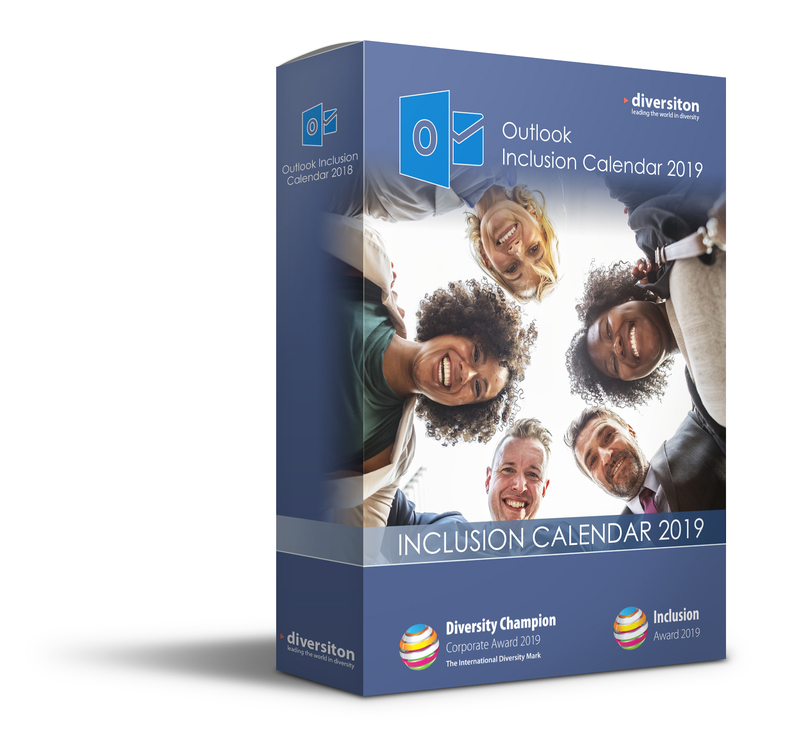 The Internationally acclaimed Outlook Inclusion Calendar with over 260 important dates and events is ready for your outlook box. Amazing value as every employee can receive a copy for just £395. just send us your logo and some images. Great value – ideal for offices, reception areas, hospitals, local authority premises, etc. ALL KEY INFORMATION IS IN ONE CONVENIENT PLACE – Quickly check what is happening this week. Make sure organisation events don’t clash with important holidays, festivals or diversity dates. Add month end or pay dates. Keep track of staff holidays. We now produce bespoke calendars with great front covers. We include logos, images and key messages. We print bespoke calendars, provide the Outlook calendar and design Wall Planners. What’s more, we develop Calendars all year round – with Academic calendars that start in September and Fiscal calendars that commence in April! What this all means of course is that inclusion has become embedded into the fabric of many organisations. More and more organisations see inclusion as closely linked with HR, Corporate Communications, PR, Operations or the Chief Executive’s department. ‘The Calendars are a dynamic visual reminder of what we are about as an organisation. 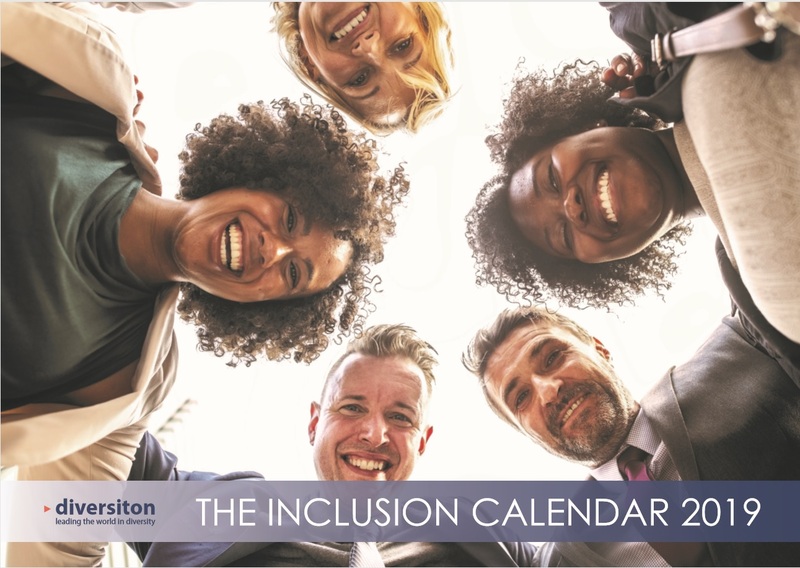 They capture our values, they show our staff in action and promote our services!’ Now is the time to start planning your next Inclusion Calendar! Link with other Departments, engage staff and gather some great photos. 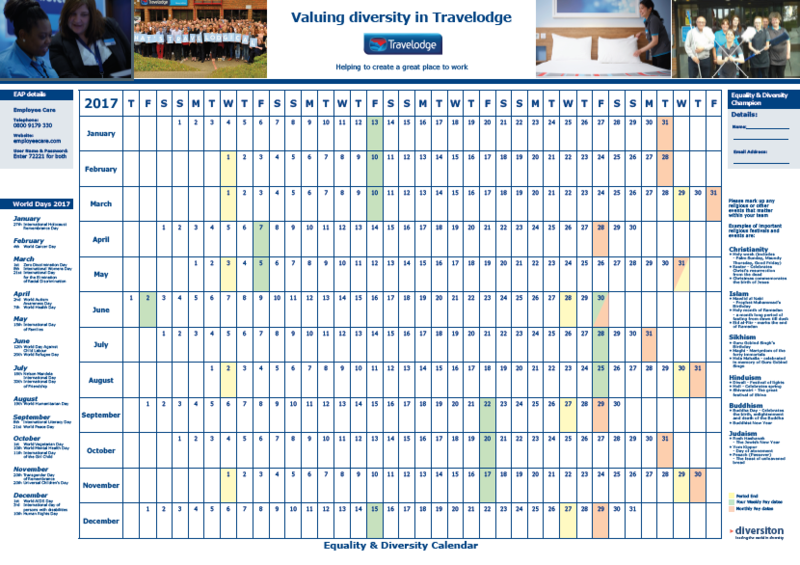 Your Calendar can be a real driver for diversity and inclusion across your whole organisation. Do give Sharon a call on 02841 754777 or email Sharon@diversiton.com with any queries. As I said, none of this would have been possible without your continued support and determination to embed inclusion, equality and respect within your organisation. Thank you! P.S. 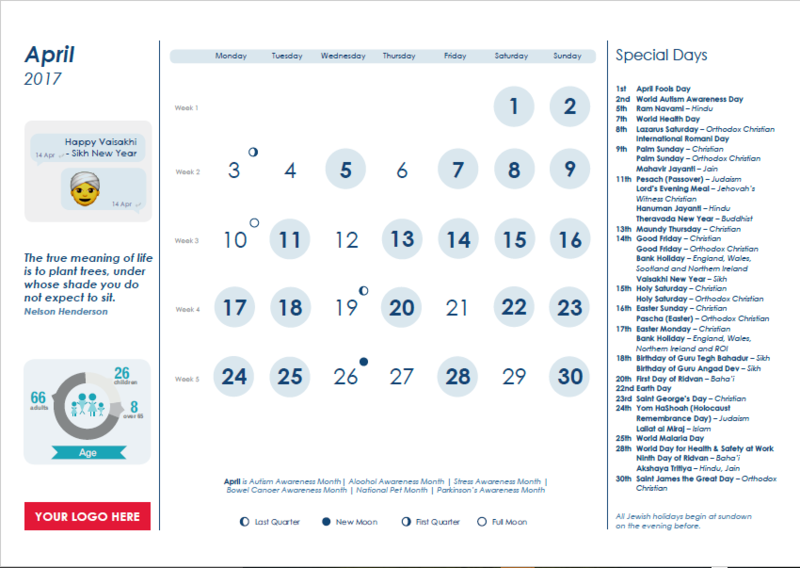 By the way, our Online Inclusion Calendar still costs only £495 for your whole organisation – the same price as 18 years ago when it was launched!